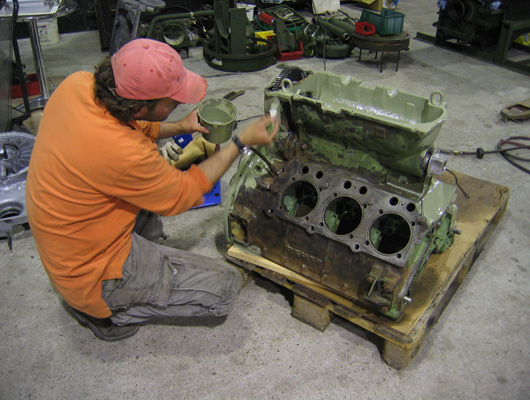 At Classic Wheels, we don't just repair and restore classic automobiles. 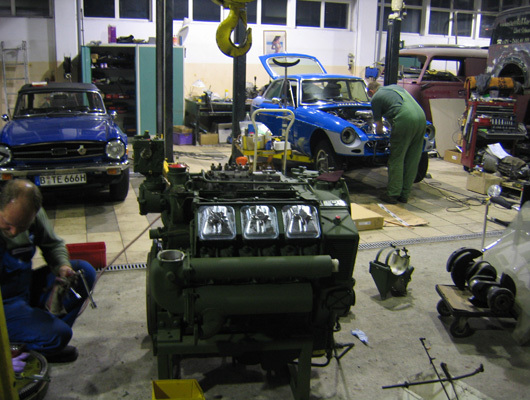 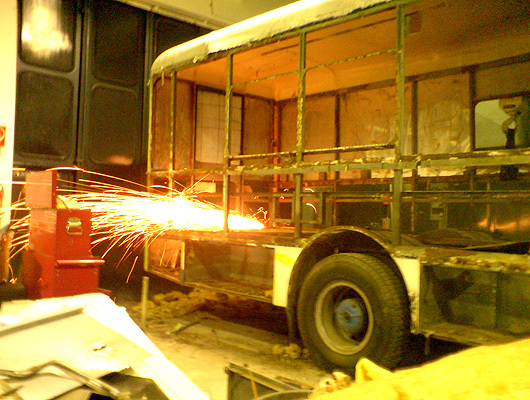 We also renovate historic commercial vehicles. 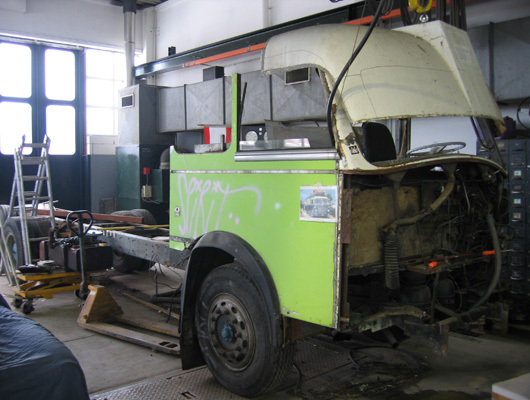 We have recently completed a thorough restoration of a 1972 MAN Saviem car transporter, resplendant in dark green with 'H' plates, with which we now collect and deliver our clients classic cars in the Berlin area. 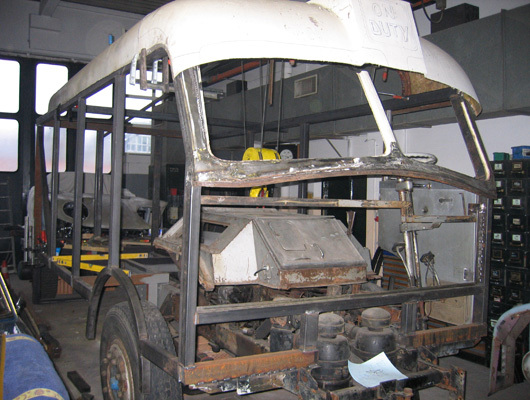 For a step-by-step photo diary of the rebuild process, click here: MAN Saviem Car Transporter. 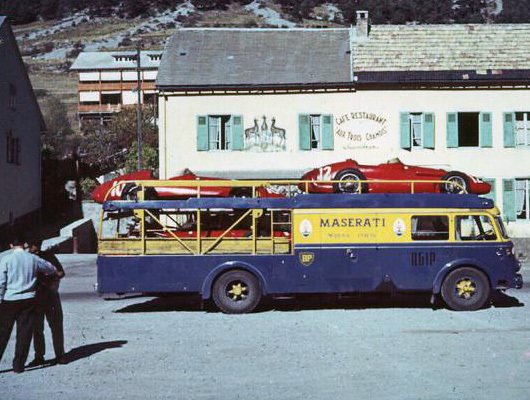 We have a nostalgic fondness for the coachbuilt racecar transporters of yesteryear. 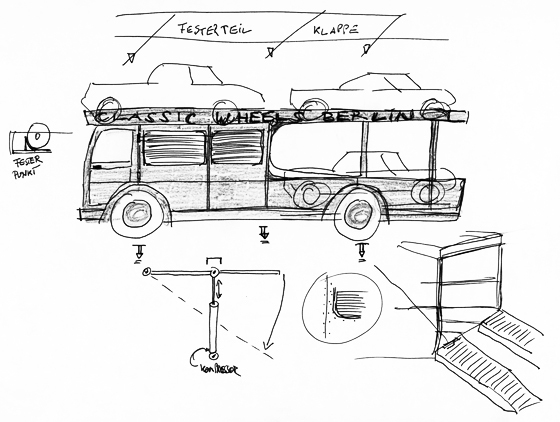 Company founder Axel Schmutzler has long dreamt of building his own racecar transporter with which to convey the Classic Wheels Berlin Racing Team to and from the racetrack. 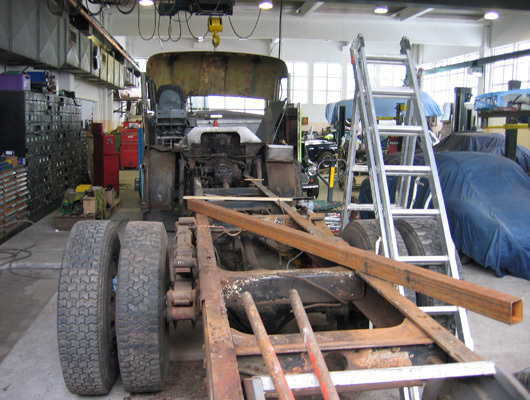 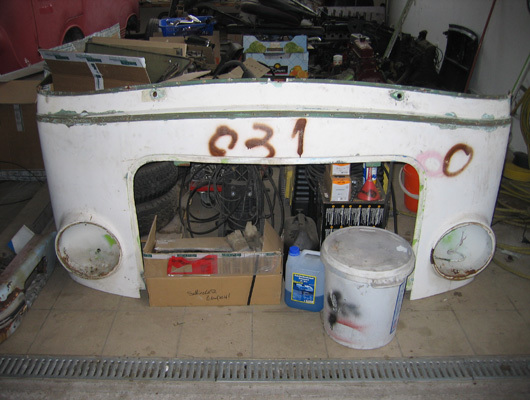 After dismantling the first candidate for transformation into a racecar transporter just over a year ago, the project was put on hold due to changing priorities during 2008. 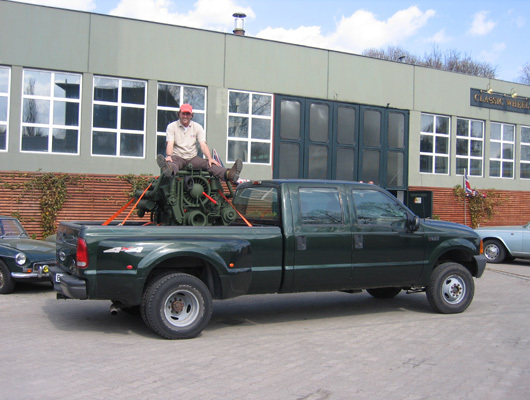 Shortly before Christmas 2008 Axel obtained a new (and even bigger!) 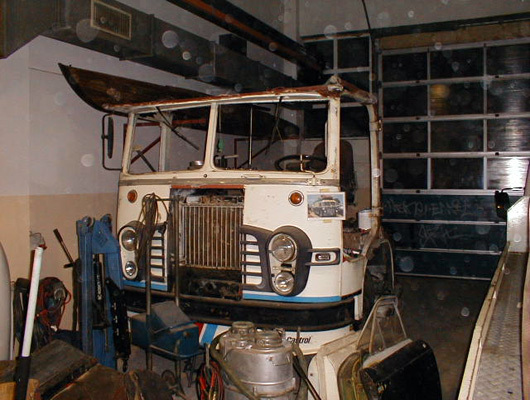 truck on which to base his transporter project, an enormous Magirus Deutz propelled by a mighty 9.5 litre air-cooled diesel V6. 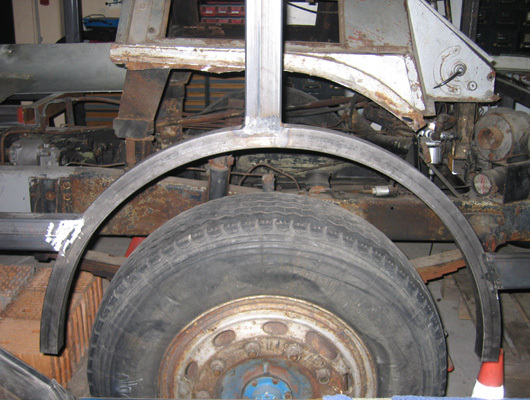 The latest plan will incorporate elements of both vehicles, combining the best segments into a new creation. 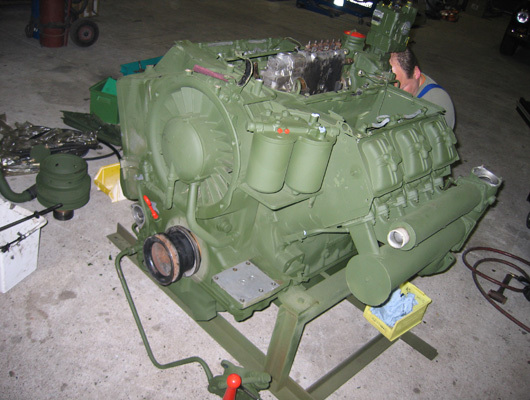 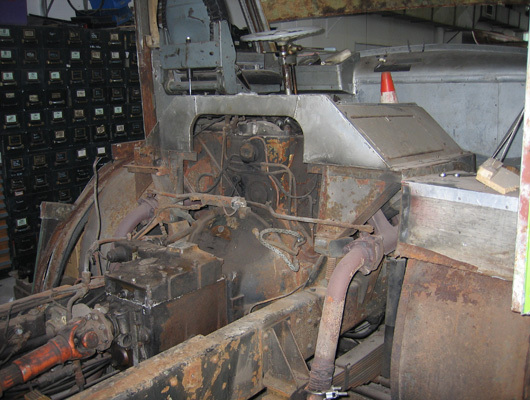 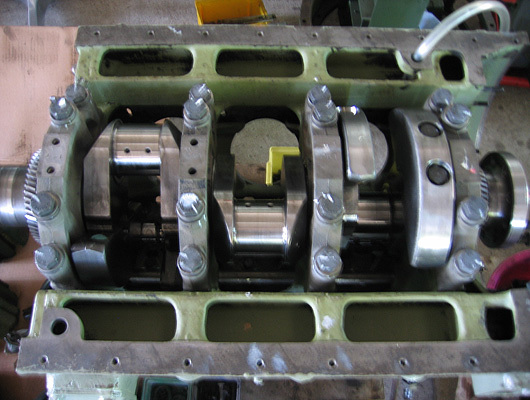 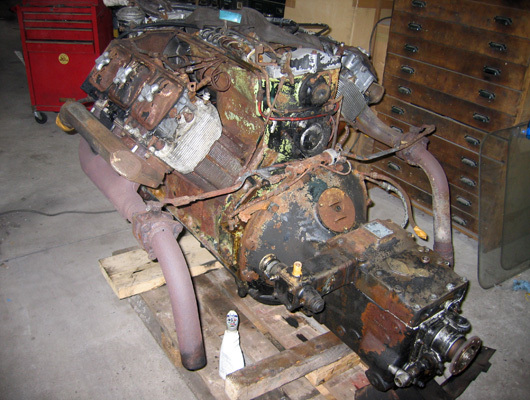 Initial inspection of the big Magirus Deutz revealed layer upon layer of poorly-executed repairs by the previous owner-occupants, so once again the entire enclosed section was separated from the backbone chassis. 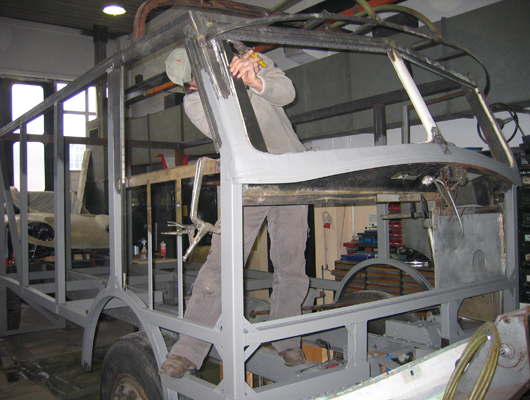 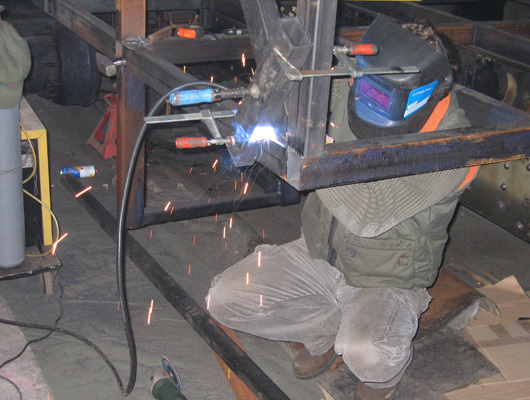 The chassis itself, already strengthened along the whole length with additional riveted plates, is currently having the corroded sections repaired, before fabrication of new box-section steel framework. 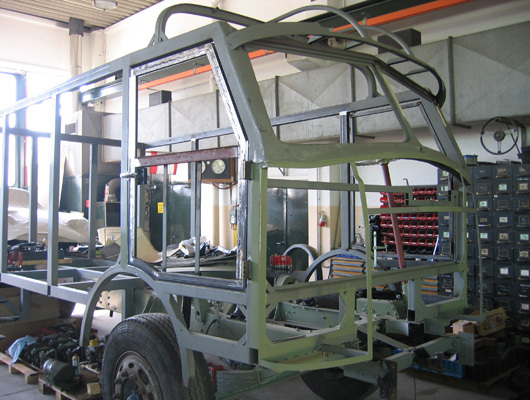 The bodywork will bear some similarities with the reknowned Maserati Scarab truck, although the exact contours have yet to be defined. 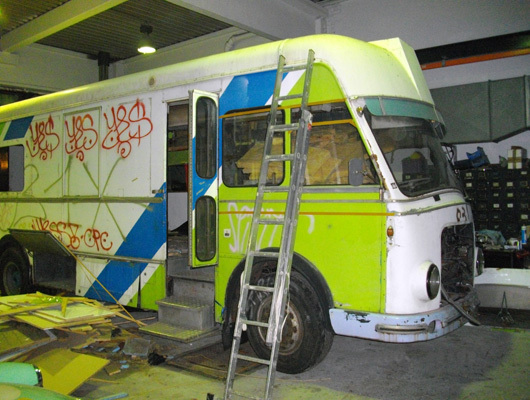 The following picture gallery showing the work in progress will be regularly updated throughout the year, so check back often. 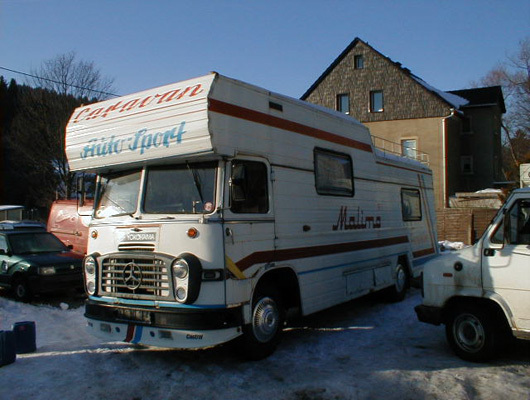 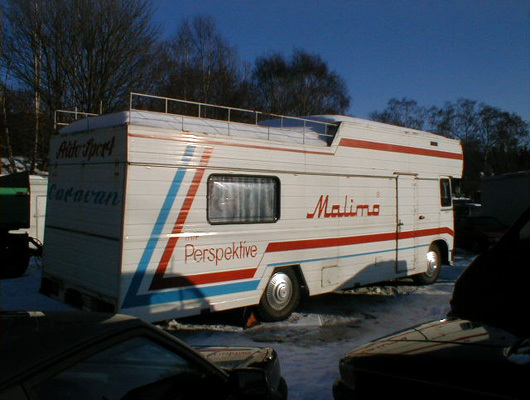 Never one to do anything by halves, Axel gutted the Magirus Deutz truck,starting from scratch, and using the windscreen from the motorhome. 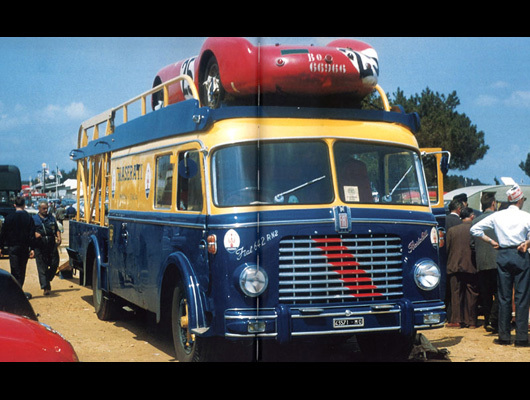 We hope you enjoy the following gallery of classic transporters, which we depict here to illustrate the type of vehicle we are recreating. 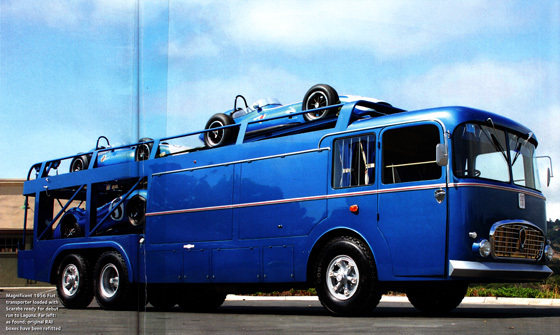 Beautifully restored ex-Maserati ex-Shelby Transporter is an inspiration. 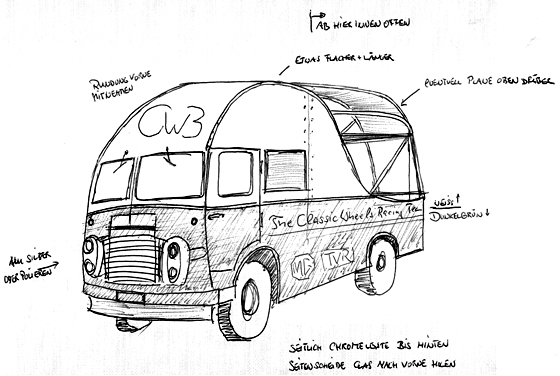 Beautifully restored Ecurie Ecosse Transporter is also a source of inspiration.